Arne Jacobsen and Erik Møller designed the Aarhus City Hall, which was inaugurated in 1942. Their winning proposal, however, was without a clock tower. According to Jacobsen’s design philosophy, a tower has no real function, and has no place in design. 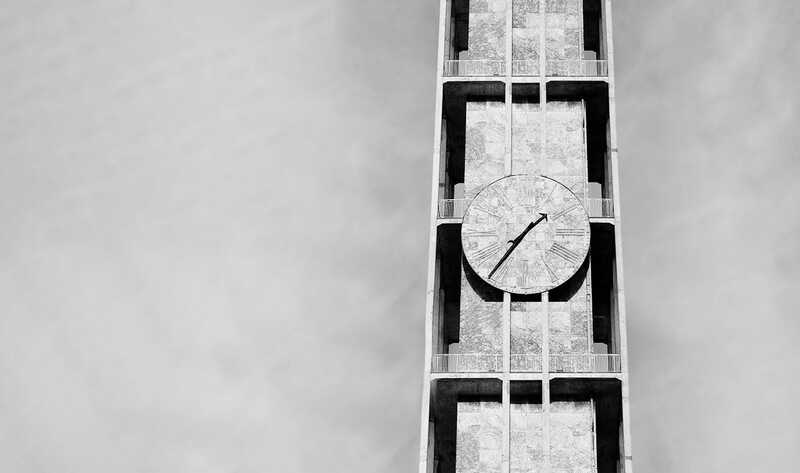 But following public outcry, the two architects added a 60-metre tower featuring an elegant clock that we now call Roman.